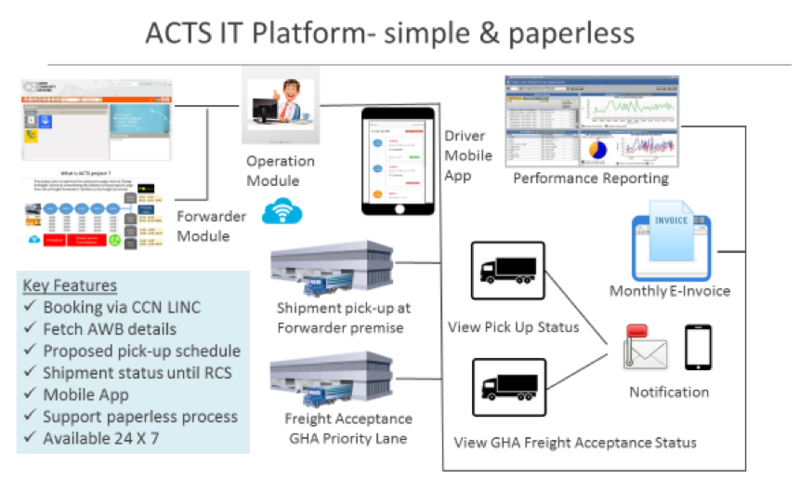 Today, the forwarder faces the challenge of getting drivers and trucks to meet their business needs. Most forwarders arrange individual transports, which leads to too many trucks movements for export shipments lodge-in at freight terminals with average load factor of less than 30%. By providing scheduled multiple shuttles to pick up loose freight from forwarder premise, less individual transport is needed. Shipments are lodge-in via priority service lane at freight terminals, resulting in less queue time and faster lodge-in process. Overall, this project provide an optimized freight delivery solution and less CO2 emission – a more environmental friendly transport system. 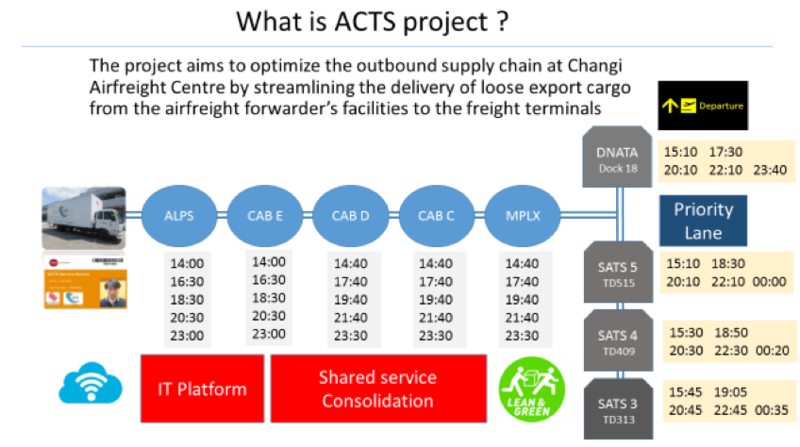 This project is implemented by SAAA@Singapore and supported by SPRING Singapore, CargoTec, Cargo Community Network, SATS and Dnata Singapore.